Your dog’s home away from home. Wiggle Butts & Waggin’ Tails provides loving care for your furry family members. Whether you’re looking for doggy day care, a safe and fun dog boarding kennel for your pet to stay while you travel, or experienced and skilled dog training, Kathy and Dave Crockett and their staff understand your dog’s needs. Kathy and Dave Crockett have spent a lifetime with furry family companions. 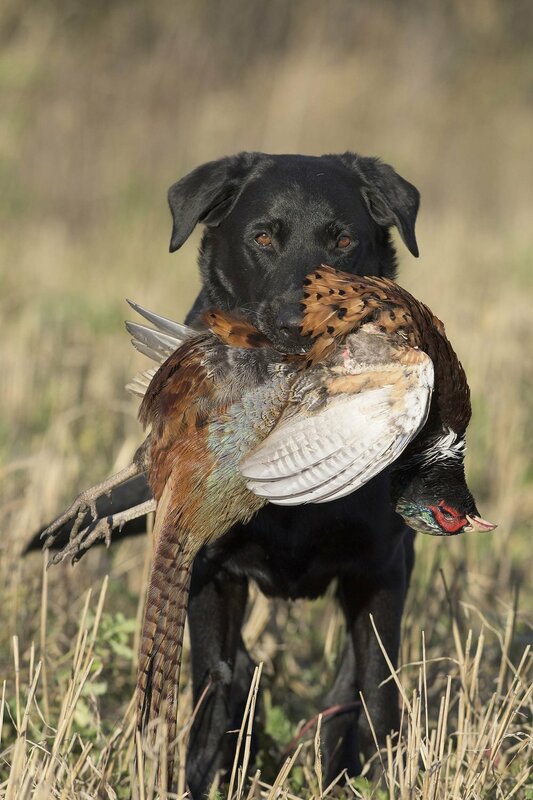 For years Dave has trained dogs for bird hunting and he and Kathy have always welcomed dogs into their home including beloved pets Cody, Bella, Willow, Murphy and Teddy, who are pictured on these pages. Now they’ve taken that passion even further with the creation of Wiggle Butts & Waggin’ Tails, their new dog kennel, dog training and doggy day care facility on Bugai Road, just minutes from downtown Traverse City. Dave has been training bird hunting dogs for 40 years. Previously he worked at the Interlochen Center for the Arts and in the telecommunications business. In retirement he found that friends were asking him to train their dogs for bird hunting and that’s when the idea for Wiggle Butts & Waggin’ Tails was born. Kathy’s life-long love of dogs makes her a natural partner in the dog day care, but it’s her career in administration – including stints at Ferris State University, Century 21 and Cherry Growers – that helped launch Wiggle Butts & Waggin’ Tails. She worked closely with the architect, contractor and township to make sure all the permit requirements were met. Launching Wiggle Butts & Waggin’ Tails was a detailed, time consuming task and reflects Kathy and Dave’s passion for the project. They spent over two and a half years planning their venture: writing a business plan, working with SCORE, meeting with their lender, working with their architect and working with the contractor to build their home and business. The result? They’re have a beautiful new facility and they’ve combined forces to create a training operation second to none in the area offering fun play days for dogs who attend dog daycare, caring dog boarding and dog training that focuses on bird dog training, canine behavioral training and puppy obedience training. Wiggle Butts & Waggin’ Tails plans to open in the summer of 2018. There’s space for 24 boarders and 30 additional day care clients. We offer boarding for special needs dogs. Our kennel was built with safety in mind which is why we couple video surveillance with personal time spent in the kennel. We also have smoke and fire alarms that ring in the house as well as the kennel. Restrictions: Due to insurance rules we are unable to accept the following dog breeds for day care and boarding: Akita, Chow, Dalmatian, Doberman, Pit Bulls and Pit Bull Mixes and Rottweilers.